A group of Year 7 students attended the Children’s Literature Festival at Broughton Hall, Skipton, in September. Students were involved in workshops with Chris Bradford- author of the ‘Young Samurai’ series and Maz Evans author of the ‘Who let the Gods out’ series. The students also met Marcus Alexander author of the fantasy series ‘Keeper of the Realms’ and award winning author and public speaker Kathryn Evans. Students had lots of fun during the workshop with author Maz Evans when Aziz was challenged to the ‘Who let the Gods’ out quiz – following which Aziz was given the title of ‘Goddess of Wisdom’ for the day! 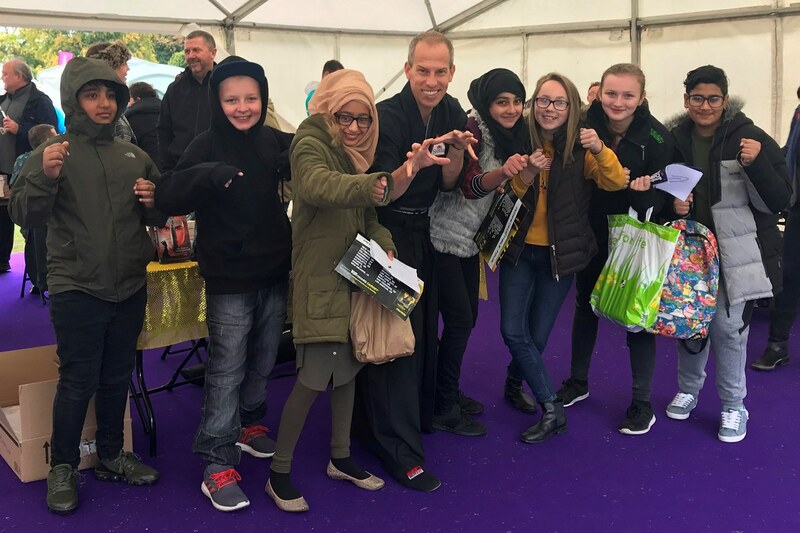 The festival left the students inspired and proud to be representing the academy, a parent later thanked the academy for the opportunity and said that the event was so inspiring her child had already started to write his own story!